Experience the convenience and versatility of the Xbox One Kinect Sensor on your Xbox One S or Windows PC. - Experience the convenience and versatility of the Xbox One Kinect Sensor on your Xbox One S or Windows PC. Allows the use of an XBOX360 Kinect Sensor with the earlier Non-"Slim" Model XBOX360. Model 1430 UK 3-Pin. FOR NON-INTERNAL HARD DRIVE XBOX360 MODELS. Including Original Beige Models and Black Elite Models (see last 2 photos). Provides power and connectivity to Xbox 360 console Kinect sensor. Can be used on your Xbox 360 (all versions previous the newest slim version). Xbox 360 SensorKinect is not included. UK Adapter. US Adapter. 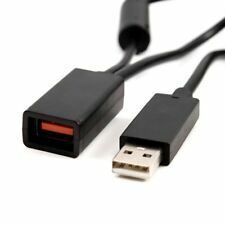 1x AC Power Adapter USB Cable for Xbox 360 Kinect. Plug Type: EU Standard. Output: DC 12V 1.08A. Provides power and connectivity to Xbox 360 console. ONLY FOR THE XBOX 360 ORIGINAL (WHITE OR BLACK ELITE) -. NOT NEEDED FOR THE XBOX 360 SLIM OR E MODELS. TESTED AND FULLY WORKING. • For Xbox 360 Sensor Kinect not included. • Can be used on your for Xbox 360. 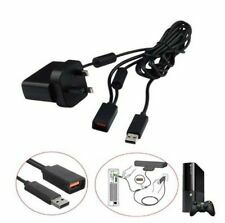 • Provides power and connectivity to for Xbox 360 console. • Plug standard: EU plug (Type C). • Output: DC 12V 1.08A. 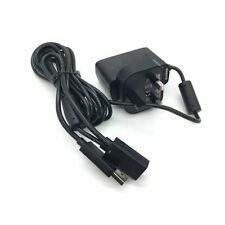 Xbox 360 Kinect Sensor, Power Supply Adaptor for the older models (not needed for S or E console) And Kinect Sports 2 Game. Condition is Used. Dispatched with Royal Mail 1st Class. Features: 100% Brand New Compatible with Xbox 360 and Kinect Camera accessory Ideal for custom installations where console is placed at a distance from the Kinet Accessory Connect power and connectivity to an original Xbox 350 console Making sure you can continue using the Kinect motion sensor Best replacement for the original AC power adapter Specification: Input:100V-240V Output:DC 12V 1.08A Color :Black LED power indicator USB 2.0 AC power adapter model:EU PLUG ​ Package Included. Fully tested & working perfectly. Compatible with all UK Kinect Motion sensor units (model number: 1414). Genuine Microsoft. KINECT SENSOR. Microsoft XBOX 360. 100% Microsoft Xbox 360 Original Part. Output 12V-1.08A. UK standard 3 pin plug.